The number of Americans with diabetes has risen to nearly 26 million while the CDC reports that more than a third of adults are estimated to have prediabetes. Even more disturbing is the news that Type 2 diabetes already appears to be a sizable and growing problem among U.S. children and adolescents. As I reported yesterday, HFCS (high fructose corn syrup) may be leading to the increase in numbers of diabetics while new research suggests that low doses of BPA (Bisphenol-A) found in plastics, the lining of food and drink cans as well as on receipts is also a culprit. The new research adds credibility to previous studies linking type 2 diabetes and low-dose exposure to BPA. 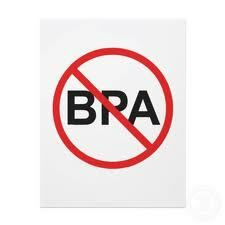 BPA mimics the effects of estrogen, a hormone that is involved in regulating insulin production in the body. The new study, published online February 8 in PLoS ONE, finds that BPA is every bit as potent as the body’s natural estrogen in terms of triggering insulin release. What can you do to minimize your exposure to BPA and the possible type 2 Diabetes risks? Stay away from foods and drinks in cans (or look for Eden Foods BPA free cans), use stainless steel instead of plastics, refuse receipts or keep them in an envelope in your wallet and wash your hands repeatedly throughout the day.